Running out of Valentine’s date ideas? Why not try a couples massage where you both get a massage at the same time? It offers several benefits and here are a few! Newsflash! There’s no hard and fast rule that says a couples massage has to be strictly for couples. Reserve a dual massage with mom, your boyfriend, or anyone else who might be hesitant about spa-ing—having a treatment for two provides an excellent entry into the world of spa and will help uncertain spa-ers feel at ease; eventually it may even lead them to try other treatments. Body scrub, anyone? 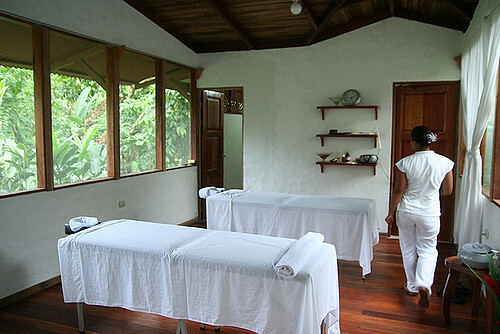 Plus, massage can “be a celebration and exploration of the power of human touch. When you share the experience as mother-daughter, sisters, or even as close friends, you express your personal appreciation for the other person and how grateful you are to have them in your life,” Strohecker continues. Thinking you’d love to have a couples massage in your own home? We’re the ones to call! Contact us!